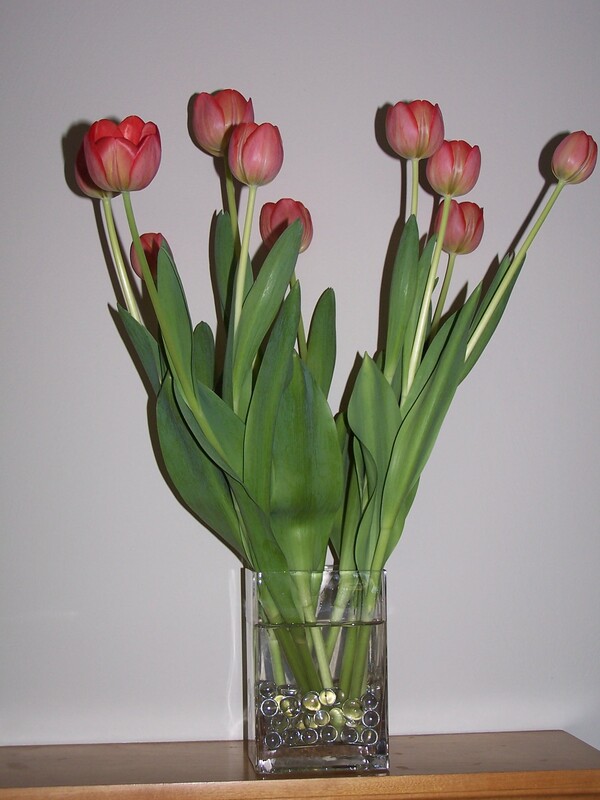 This entry was posted in HuffyHow, Satire Friday and tagged floppy tulip syndrome, floppy tulips, how to get tulips to stand up in a vase, postaday2011, Valentine's Day by Huffygirl. Bookmark the permalink. It’s surprising what ticks peoples boxes isn’t it? My number two popular entry is about rescuing a kite and I only scrawled it quickly! Yes, I’ve had that happen too. Even the floppy tulip post I sort of dashed off on a whim, because it was the first time I tried adding photos to my posts, and I had that nice vase of tulips to photograph … and it just sort of snowballed from there. If there were a Pulitzer Prize for conquering FTS, you’d win it! Great post. So why is there no Pulitzer for this? What were they thinking? What a great idea! Now, would that keep squirrels from biting the flower heads off my tulips and eating just the base of each petal? With all the drama I’ve had with squirrels trying to keep them out of my birdseed, I’m convinced that there is not stopping them. If they’re determined to do something, whether it’s steal the birdseed or eat your tulips, there is nothing humane that will stop them. I’ve seen bunnies bite off my outdoor tulips, but I’ve never seen the squirrels to it. Lucky for them, probably, that I’ve not caught them at it. So funny. I totally understand. I started my blog not knowing where I’d end up theme-wise. I knew I’d probably always explore various topics, and that my fiction writing experiences would get some coverage, too. Never in my wildest dreams did I imagine that my post Migliaccio (Italian Farina Custard) would be my number one post. Go figure. I know exactly what you’re saying. The other one of mine that shows up in Google searches daily was “Sad panda”, something I wrote on a whim because my son kept going around the house using the expression “sad panda.” Anyway, glad you mentioned the custard, because somehow I missed that post before. You are the tulip expert, I am the expert on conduction cookware. Who knows why a single post can end up being so popular! I know Margie, exactly. I did not know you were the cookware expert. I’ll probably be consulting you on that sometime! Actually I’m not much of an expert – I just wrote about why I chose a certain set of pots! Well, you’re a self-made expert then!